SPORAH TV: I ONCE DIED IN THE BUS..! I ONCE DIED IN THE BUS..! 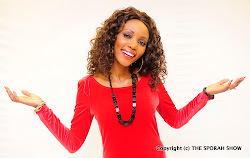 Rebecca became a model after she won miss africa Uk, in 2004. Rebecca travel west africa in collaboration with save the children charity organising events to raise money for the underprivileged and amputee children. Rebecca then got a degree in events management as it seems to untreat her alot in what she does. Rebecca became a night club promoter organising club nights and fashion shows to beauty pargents which made her very successful. It was during this time of success that Rebecca collapse and died in a london Bus, few mins later she had an experience with the power of God that brought her back to life. This was the beginning of the making of Rebecca in ministry. After so much suffering, rejection, homeless, poverty and loneliness the lord was preparing Rebecca for ministry when she end up at a church where she was finally told that the lord was calling her. Rebecca Answer to the call and remain in prayer in the church. To God be all glory and praise Rebecca is one of the fastest growing female gospel artist in the UK. In 2009 Rebecca share a platform at the oraclez gospel concert with america,s biggest artist at Wembley arena together with kirk franklin, Mary Mary, Kelly price cece winnian. Rebecca is well known for her heavy weight praise songs, and today she is an international for the gospel of Jesus Christ. 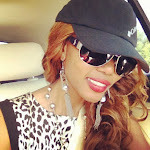 Rebecca has released 2 albums the 3rd which is due end of July. Rebecca has been nominated in this years africa gospel awards with 4 nominees best female acts, best song, best video, best europen artist and she is performing at the awards on the 9th July. Rebecca end up to WIN The Best Music Video I NEED YOU MORE By REBECCA on the Night. 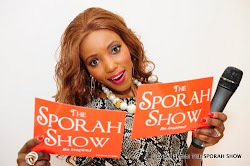 Beautiful Sporah, keep up the good work. You got all it takes my dear, BE BLESSED. Beautiful story, God bless you Rebecca. i purchased Rebeccas two albams fire for fire and Jesus counqer in may last year through pay pall. your distribution company name is midas tourch thats where my money went. Today is 12 feb 2012 I havent recieved my albums. I am disappointed and I wish if someone colud respond. rebbeca you have a ministry, so how are blessed if the gosple is not being delivered yes i paid for two albums . i have my bank statements. I emailed you on your face book you did not respond and I even sent shirlly from Baka's church. She said she spoke to you and you never responded to me. To be honest I am not happy but your music blesses me that why I paid for two albums which i never got.